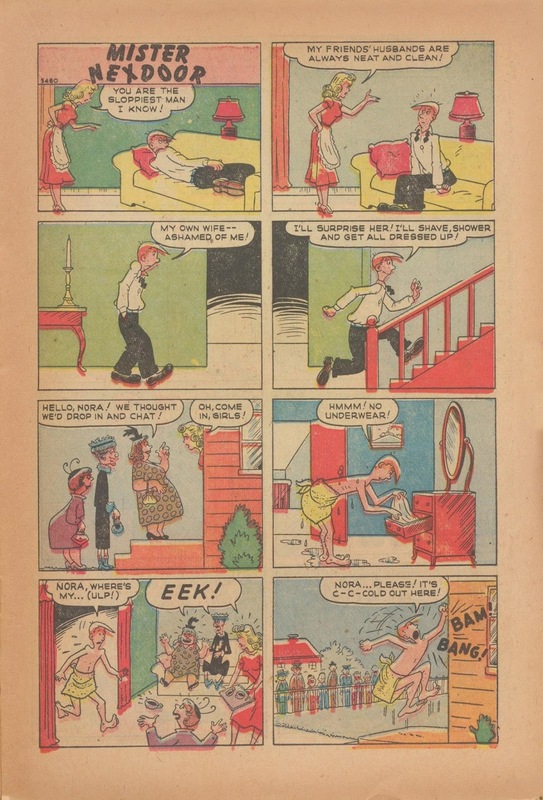 When Stan Lee came back from the war, he hired Harvey Kurtzman to do a filler gag page for all his comics. Kurtzman came up with Hey Look and a classic was born. In the late forties Stan stopped using the funny/weird gag strip by the later inventor of Mad and asked him to do a more commercial gag strip instead. Probably instigated by his publisher, Martin Goodman, with him wanting to get rid of Kurtzman altogether and Stan suggesting that Kurtzman turned the funny teen book Rusty into a Blondie take-off called Rusty and his family. 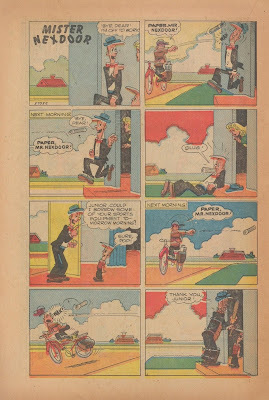 Anyway, Harvey Kurtzman hated it and have up after two issues. I am pretty sure that Al Jaffee took over for a short while in a style similar to Kurtzman's before the whole thing was dropped. 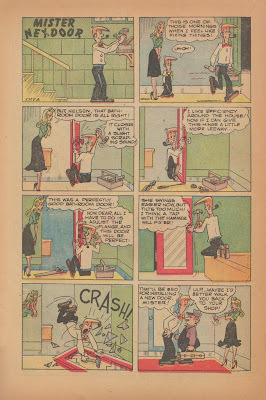 A couple of years later four single page Rusty gags were used as filler in Howie Post's Atlas funny book Nellie the Nurse. The title was changed to The Nextdoors. 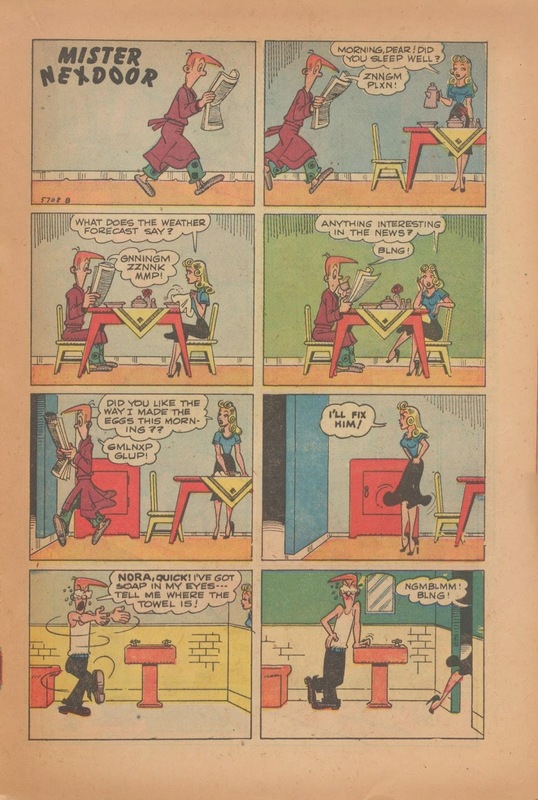 I had hoped that they were Kurtzman pages left unpublished from the first go, after checking (on my own blog, follow the link) I see they are reprinted from Rusty #22. The first three, that is. The first one I could not find. In numbering it seems to have been done before Kurtzman quit, but I still believe it may be by Al Jaffee. I have not yet found is printed anywhere before. And I thought "Dotty Dripple" was a blatant enough "Blondie" ripoff!